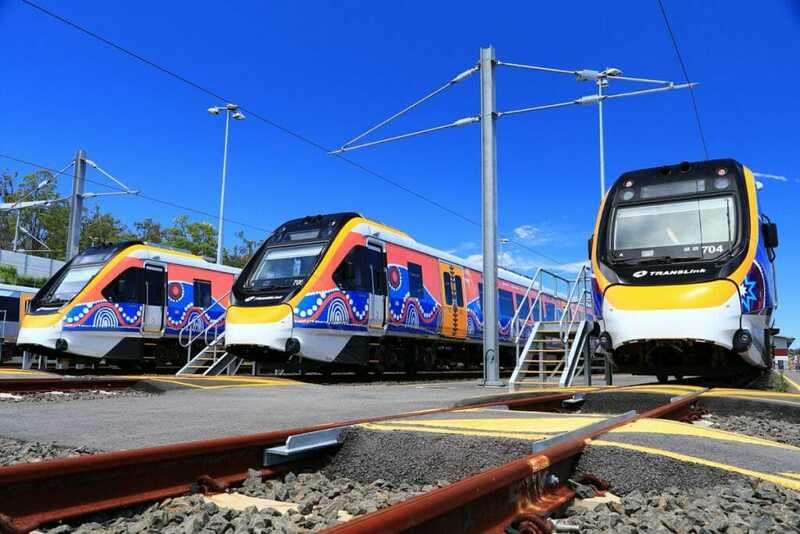 The Bombardier-led Qtectic consortium’s first three trains are to enter passenger service in South-East Queensland, Australia next week. In total, 75 new 147m-long EMUs are being delivered by the group, which also includes John Laing, ITOCHU and Aberdeen Standard Investments, to increase capacity by 26 per cent on the South-East rail corridor. With 70 per cent of Queensland’s future population growth targeted in the South-East region, the new generation rolling stock (NGR) will meet the growing demand for rail services. Passenger service will commence on December 11 at 6″25am for the first trains. 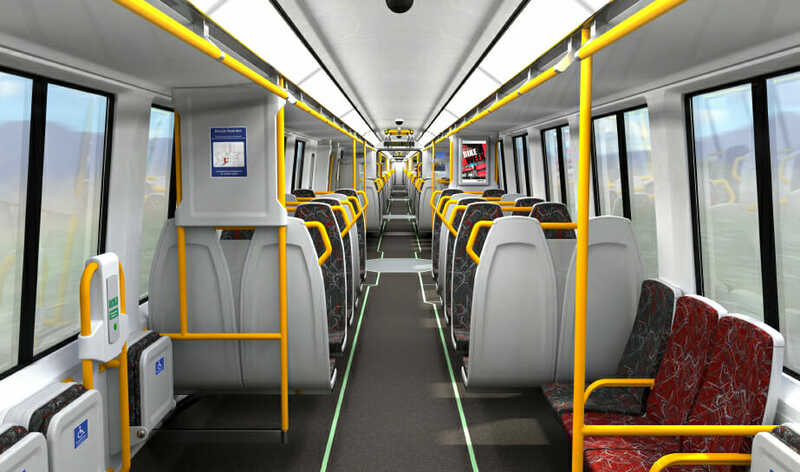 A CGI of the inside of the new trains. Photo: Qtectic. Features of the NGR fleet include a top speed of 140km/h, capacity for 964 passengers per six-carriage train, onboard wifi, CCTV, LCD infotainment displays, toilet modules and twelve allocated spaces for wheelchairs. They have been designed and engineered in Brisbane and produced at Bombarder’s facility in Savli, India. 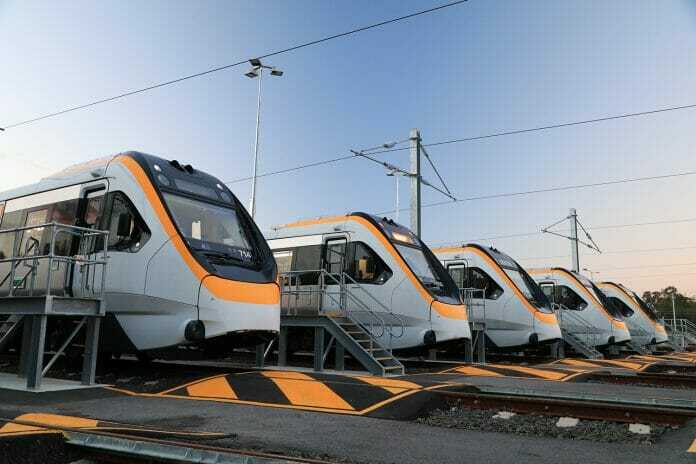 Bombardier Transportation Australia managing director Andrew Dudgeon said: “These trains are state-of-the-art. “Built for Queensland’s commuters, the NGR fleet was locally designed and engineered, and will be maintained by a dedicated team of industry professionals over the next 30 years. The project also includes the construction of a new maintenance centre at Wulkuraka, Ipswich and 32 years of fleet maintenance. Qtectic was established in January 2014 to deliver the $4.4 billion NGR project. Little mention of the fact that they are really late, still not all delivered for an event next April which will place pressure on the system (Commonwealth Games) and they have been beset by faults that one would have thought quite predictable – eg toilets inaccessible to wheel chairs, now being expensively retro fixed. There are many more issues I’ve not mentioned, but it made Queensland news again just today.